Welcome to Elves on DA, a community for all who love/like/obssess over elves and elf-like characters, this includes: Tolkien, dark/drow, forest, winged, vampiric, elemental, made up, Elfquest, even santa elves and any other you can think of! 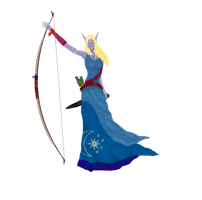 If you love drawing or writing about elves, feel free to join as a member or just devwatch the group. We'll be holding competitions and projects on a regular basis, help make this community as interactive as possible! We're going 6 years strong!!! Once you have joined the group, you may start sending in your submissions. At the moment, there is no maximum number of submissions per month, so submit away! However, you can only submit up to 3 deviations at a time, and cannot submit anymore until all 3 have been added to the gallery. You will receive a notice when your submission has been added to the gallery. Submissions are added to the gallery 12 at a time every other day. We want to give equal exposure to all of our members, so please be patient if your submission is not added to the gallery right away. We will try to get it in as soon as possible. Please send in your best possible work, no unfinished pieces or scraps! Any questions please DevNote the club or mystikaal. Welcome to Elves on DA, a community for all who love/like/obssess over elves and elf-like characters. If you love drawings or writing about elves, feel free to join us or just add us to your devwatch! Joining is very easy, just click the "Join Our Group" button on top our main page. Join requests are automatically accepted, so dive in! Sorry if I haven't been able to respond to much lately. I've been really busy and exhausted. I just wanted to post this month's features and a reminder. 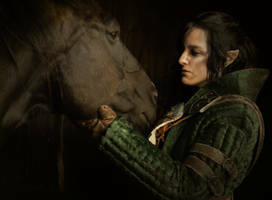 You still have a couple of weeks left to get your entries in for the The Elves & Beasts Contest. The deadline is April 30th. 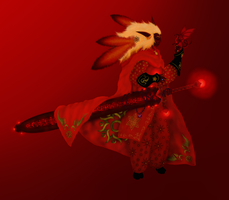 Remember to post your entries to the Contest Entries folder in the gallery. This a monthly news article feature of deviations submitted to the gallery by our members. If you missed them the first time around, be sure to go and check out the deviations and show them some support! is this month's featured member. She is a pencil whiz who does some wonderfully emotive work. Please visit her gallery and show her some love. Good morning, my name is Thiago and I want to be part of the group. Josara The Fairy.. In The Clouds!